Blodet : Kristallpalatset cassette. 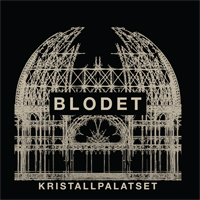 Blodet are an instrumental band from Umea, Sweden and this is a co-release with Do You Dream of Noise? Three sprawling tracks for a 35 minute long ep release. This product was added to our catalog on Monday 02 April, 2018.